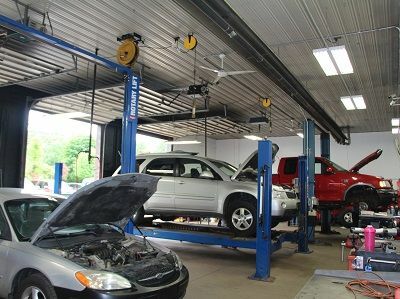 At Acme Tire and Auto Inc., we provide full service auto maintenance on all makes and models. Save money on gas and repairs by keeping your vehicle properly maintained. Life is complex, you have enough to worry about, there is no better time to get your car's maintenance up-to-date than now. From coolant and fluid flushes to scheduled maintenance, we have the expertise and experience to handle all manners of vehicle maintenance. Acme Tire and Auto is proud to represent that we are a member of the Rockford Chamber of Commerce and Great Lakes Auto Association. Featuring the latest in auto diagnostic tools and equipment, we are sure to diagnosis your car's ailments and keep it running in tip-top shape. Understandably it can be difficult to find a way to pick your car up while it is being repaired. Because of this, we offer vehicle pick-up and delivery. We will even be glad to help by giving you a ride to or from your home or work after you drop your vehicle off to be serviced. Incase of a towing situation, we offer full service towing through our partner, Nelson's Wrecker Service, and would be more than happy to schedule a pickup of your vehicle. If you have any questions regarding any of our auto maintenance services, please do not hesitate to contact us at (616) 874-9050. We are here to help!